World Water Day - Wednesday, March 22, 2017 | Wells For The World Inc.
World Water Day is this Wednesday, March 22, 2017, consider supporting one of our two current water projects: 1) our well repair project, or 2) our drilling rig purchase project on behalf of all those suffering due to the lack of clean drinking water. 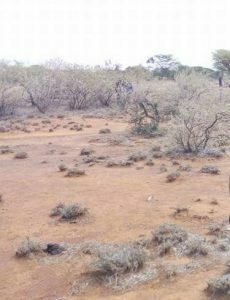 The 2016 drought in Eastern Africa has extended into what should be the rainy season in 2017 and threatens widespread crop failure and livestock die-offs in agro-pastoral communities. The two main rainy seasons failed in 2016, and the long or heavy rains have yet to come in 2017, which are already 6 weeks late. There are growing reports of conflict as a result of displacement and water shortages. Four million people in Kenya alone could be in need of aid if the long rains fail! Here is a photo taken yesterday (March 18, 2017) from the Ewuaso (Kedong) area. Hydrogeologist and the Founder of Wells For The World, Inc., with 27 years experience, for years has envisioned establishing a charity to provide those without access to clean drinking water the resources they need to not only sustain their lives, but to allow them to flourish and reach their full potential. I have performed hydrogeologic investigations at hundreds of sites and specialize in the review and interpretation of hydrogeologic data to determine groundwater flow characteristics and have designed or helped design dozens of groundwater extraction systems. WFTW Inc., is where I can share my love for hydrogeology, my love for people and my love for faith by providing those without access to clean water a “cup of cold water."